Sorbo received international stardom when he booked the lead role in “Hercules, the Legendary Journeys” (1993-1999) the most watched TV show in the world, airing in 176 countries. Following that success, Sorbo had the lead role as “Captain Dylan Hunt” in “Gene Roddenberry’s, Andromeda”. The first show created by Roddenberry after the original Star Trek series. Andromeda debuted as the number one, hour-long show in first run syndication and remained at number one for its entire run from 2000-2005.
Notable movies include “Kull, the Conqueror”, “Walking Tall, the Payback”, “Avenging Angel”, and “Meet the Spartans”. The independent film “What If” was nominated for Best Family Movie of the Year 2011 by the Movie Guide Awards. 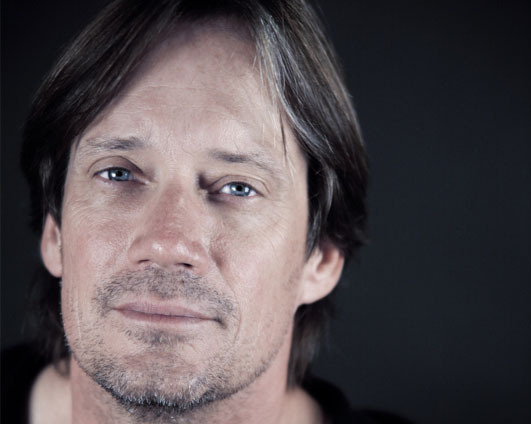 Sorbo also received the Movie Guide Award for Most Inspirational Performance of the Year. Some of his many television credits include “Just Shoot Me, “Two and a Half Men”, “Dharma and Greg”, “According to Jim”, “Gary Unmarried”, “Psych”, “Hawaii 5-0”, and a recurring role in the final season of “The OC”. Sorbo also starred alongside Dennis Quaid and Helen Hunt in “Soul Surfer”. 2014 saw the release of the faith-based movie, “God’s Not Dead”. The $2 million dollar budgeted movie became the most successful independent faith based movie ever with over $75 million US Box Office. Kevin released his memoir in 2012, “True Strength: My Journey from Hercules to Mere Mortal and How Nearly Dying Saved My Life”. The book chronicles his near death experience when he suffered three strokes and the battle back to regain his life. Sorbo also co-authored a Chicken Soup for the Soul, “Think Positive for Kids”.